Hello, and welcome to the first ClassAction.org newsletter of September! This month, we have more claims of companies misclassifying their workers – and failing to pay them properly because of it. Amazon delivery drivers, trash collectors and transportation workers have all been affected, and they certainly won’t be the last. Meanwhile, RV owners are reporting serious problems with a popular brand of tires. There’s a lot going on, so read it all here! And remember, you can always get in touch if you’ve experienced any of the problems you read about on our site. Until next time! 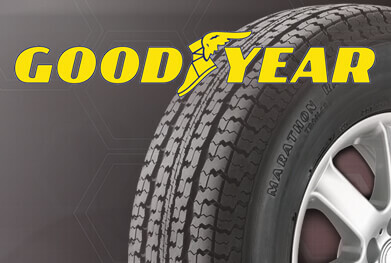 Have you had problems with your RV’s Goodyear tires? If so, you're not alone. Reports have surfaced that the Marathon RV tires made by Goodyear suffer blowouts, tread separations and other problems far earlier than you’d expect – sometimes after just a few thousand miles. Some drivers’ RVs were even damaged because their tires failed while in use, and consumers are worried about serious harm if the problem isn’t fixed. If these problems are being caused by a manufacturing or design defect, RV owners may be able to file a class action lawsuit to seek compensation for money spent repairing and replacing busted tires and to force Goodyear to let the world know what’s going on. Attorneys working with ClassAction.org want to hear from anyone who’s had problems with their Goodyear RV tires. So read more about what’s going on and get in touch with us by visiting our dedicated Goodyear page. Amazon: there’s no stopping it. The company has grown in ways previously unimaginable, and its founder, Jeff Bezos, became the richest man in modern history just last month. As consumer demand for Amazon deliveries has increased, so too has the need for companies with drivers able to handle all those packages. Hundreds of companies have popped up, hiring drivers to meet the demand – but the companies’ youth may be showing, as drivers are now filing lawsuits claiming that they aren’t getting the wages they’re legally entitled to. Specifically, the companies may not be paying overtime wages for hours worked beyond 40 in a single week, may be automatically deducting lunch breaks even when they aren’t taken, and may be misclassifying their drivers as “independent contractors” – essentially, freelancers who aren’t entitled to certain benefits provided by federal wage law. Some Amazon drivers argue that they are employees and point out that they’re expected to act as such – by wearing uniforms, driving company-owned vehicles, using specific software and hardware, and working specific hours – without any of the attached benefits. Day-rate workers are also arguing that they should still be paid overtime, and that certain delivery companies use the “per day rate” as an excuse not to do so. It’s worrying stuff – but drivers are fighting back. Read more. Attorneys working with ClassAction.org are investigating reports that some Whirlpool and Maytag brand washing machines are exploding. It all supposedly stems from the failure of the machines’ bearings, and consumers have reported loud “jet engine” and “howling” noises before their washers exploded. A series of news reports has circulated regarding the dangers of the machines – the Whirlpool Duet and Maytag Maxima, specifically – but no recall has been issued. If you had this problem with your washer, attorneys need to hear from you before they can take any action. Learn more about the problem and share your story here. Another day, another company (allegedly) misclassifying its workers. Forward Air Transportation Services is facing a lawsuit from a driver who claims the company classifies its workers as independent contractors – when they’re really employees – and illegally deducts certain expenses from their paychecks. These deductions effectively reduce the drivers’ hourly rates to below the minimum wage, the suit argues, and some drivers may even end up in the red after insurance, fuel, truck lease, and maintenance costs are taken out of their pay. More drivers need to come forward to help bolster the lawsuit, and anyone who takes part may be able to seek compensation for wages they should have been paid. Contact us today to find out more. Allegations have surfaced that Waste Management Inc. is cheating its drivers and trash collectors out of wages by failing to pay for work completed before the start of scheduled shifts and deducting time for lunch breaks even when they're not taken. A lawsuit has already been filed, and the plaintiff claims that Waste Management drivers are expected to perform certain tasks before mandatory morning meetings – but, because this work is taking place before scheduled shifts, the time is allegedly going unpaid. These pre-meeting tasks may include pre-trip inspections, changing work orders, putting on protective equipment, reviewing paperwork and other work that should, the suit says, be paid. Federal law specifically states that time spent working must be paid for, regardless of whether an employee has “clocked in” or not. If you worked for Waste Management Inc. and the company didn’t pay you for these morning tasks or deducted time for lunch even though you regularly worked through your break, you may be able to take action. Get in touch with us today to learn more. Ticketmaster’s order processing and UPS fees were always confusing – and in 2003 (yes, fifteen years ago), a class action lawsuit was filed claiming the company failed to disclose the full nature of these charges. In 2013, the company agreed to settle the case, and in 2015 (just three years ago!) the settlement was given final approval by a judge, meaning it was good to go. Since then, e-mails have gone out to those affected – that is, anyone who bought tickets to any event on Ticketmaster.com between October 1999 and February 2013. The settlement offers free concert tickets and discounts on future events, but you need to claim your share and be proactive about how you do so. Read more on the specifics of the settlement on our new Ticketmaster blog. L’Oreal has been accused of selling liquid cosmetics in packaging that makes it almost impossible to use a large portion of the product. Consumers have complained that the pumping mechanism in certain L’Oreal products, including Visible Lift Serum Absolute, Maybelline Superstay Better Skin Skin-Transforming Foundation, and Age Perfect Eye Renewal Cream, is defective and prevents them from using all of the makeup and skin cream for which they’ve paid a premium price. It’s also been alleged that the products’ designs prevent people from opening the bottles to access any product that’s left over when the pump no longer works, essentially making claims about the amount of liquid contained in the bottles deceptive and misleading. Want to know more? Click here. Bayer has announced that it will discontinue sales of its troubled birth control implant Essure by the end of the year in a move seen by most as a response to the mass litigation against the pharmaceutical giant. The company has been very careful to state that it is not ending Essure sales because of concerns over injuries linked to the implant, instead tying the decision to declining sales as women seek alternative means of birth control. Essure is the focus of nearly 16,000 claims that allege the implant “wreaks havoc on women’s bodies” by migrating from its intended position and causing injuries such as organ perforation. If you’ve experienced problems after using Essure, it is not too late to take action. Read more.